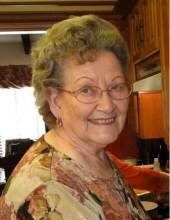 Verna was born on April 11, 1929 in Morrison, Oklahoma to Henry G. and Ethel M. (George) Wulf. She started school in Burbank OK and moved to Ponca City in the 10th grade then graduating from Po-Hi. Verna was an Awesome mother and also worked as an Assistant Manager at S and H Green Stamps as well, she worked for Dr. EC Yeary as the bookeeper for 13 years. Verna is survived by her husband, Clarence Wilson; sons, Russell Wilson of California, and Dennis R. Wilson of New Mexico; daughter, Sharon Page of Missouri; four grandchildren, six great grandchildren, two step grandchildren, and four step great grandchildren.